Success for All Schoolwide Programs offer schools comprehensive solutions that increase student achievement across the board. 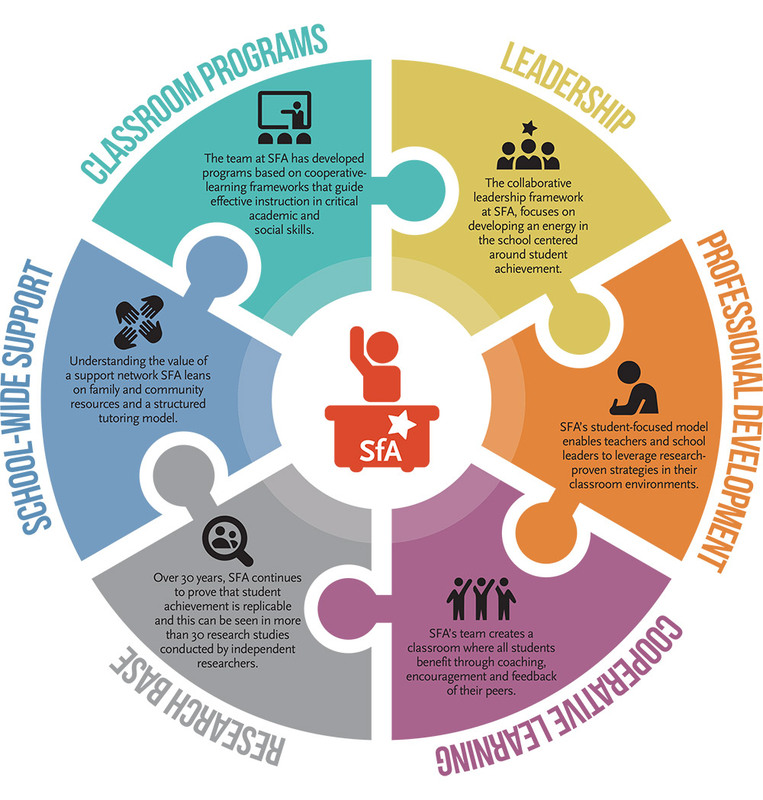 Proven classroom curriculum and instructional strategies, with schoolwide support systems, help ensure that every child is successful. A distributed leadership and continuous improvement structure. Covering social and emotional learning, parent involvement, attendance and community connections. Ensuring the SFA approach is absorbed and effectively applied.